Home / blog / What is Stone Veneer? Planning an outdoor kitchen requires a lot of forethought. The first place the mind goes is to think about different appliances and counter space, but there are also quite a few decisions to make regarding the details. 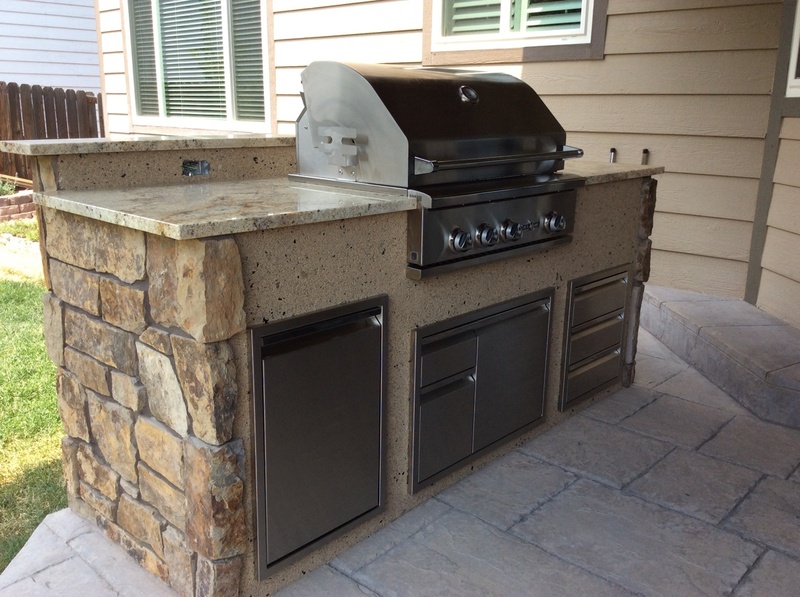 One of those options relates to aesthetics, and a popular choice for outdoor kitchens in the Louisville, Colorado area is stone veneer. Even if you’re unfamiliar with the term, you’ve probably seen it in action. Here’s what you need to know about stone veneer. Stone veneer is cleverly designed to look just like natural stone. Natural stone, on the other hand, is real stone that is taken from a quarry. This type of stone is cut and processed in a manner similar to stone tile—it’s cut with diamond saws and other tools. 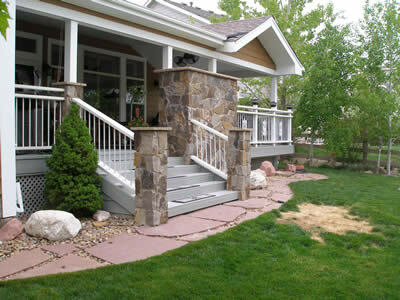 Stone veneer is manufactured and molded and has no actual stone. In the modern era, it’s easy to create pieces that look like the real thing, and the ‘stones’ are set in place much like natural stone. Stone veneer is constructed from cement and mixed with pigments that offer a natural-looking variation in color. What’s better is that the materials are readily available and lighter than natural stone, creating a product that is more cost-effective without sacrificing looks. Installing stone veneer adds value to your home and looks pretty close to the real thing. Installation is also a little easier and faster and doesn’t require some of the specialized materials that you need for natural stone. In addition, manufactured stone veneer can stand up to the Colorado elements, meaning you don’t have to do as much to maintain great-looking siding. Contact Hi-Tech Appliance to speak to a veneer stone sales expert. We can help you through the design and purchasing phase and even install it in your outdoor kitchen.